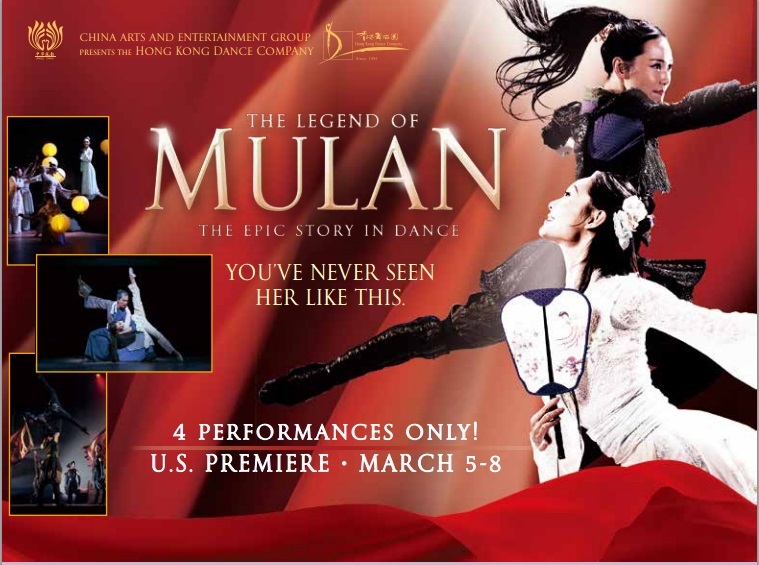 For the first time outside of China, the Hong Kong Dance Company brings to the stage an inspiring re-telling of the household folktale of love, peace and virtue in a dance drama, “The Legend of Mulan.” The spectacular production is presented by The China Arts & Entertainment Group and will be performed at the David H. Koch Theater (Lincoln Center) March 5 – 8, 2015. The Renwen Society supports the performance. Renwen members, including China Institute members, and their friends receive 30% discount on their ticket purchase. Please use the code Renwen when buying your tickets.